Cosmetic surgeons are physicians who are highly trained to perform reconstructive and cosmetic surgeries. Some of the surgeries that they perform include those to enhance beauty which are; breast augmentations, face lifts, nose jobs (rhinoplasty) and tummy tucks (abdominoplasty). They also perform other surgeries which are medical and necessary which include; treatment of skin cancer, hand operations and operations to repair cleft lips and palates. All these surgeries require high levels of competency since if they go wrong the result can even be fatal. Consequently, cosmetic surgeons are people whose work nature requires them to work with the highest diligence and care. Cosmetic surgeons are important in the society where their services are in great demand to both people who want to enhance their beauty through plastic surgeries and to people who are compelled by medial conditions to have reconstructive procedures. Statistics show that in the last five years more than ten million people in the United States undergo cosmetic procedures yearly while more than five million people undergo reconstructive procedures yearly. This clearly shows that the surgeons are busy and their services are in great demand. Being a cosmetic surgeon is amongst the careers that are highly enumerated and this is primarily attributed to the nature and sensitivity of their work. Their salaries are high but varies depending on location, setting and experience. But to become a cosmetic surgeon requires one to receive a lot of training though attending a medical school and acquiring a medial doctor degree. This training entails attending classes to learn the theory and also doing practical lessons. The surgeons must also do an internship under supervision of a qualified cosmetic surgeon in a medical facility before being licensed to operate independently. After completing all the training the surgeons then seek employment to harness their skills and after gaining experience some of them opt to open their own private clinics. People wishing to become cosmetic surgeons must have good grades in science, mathematics and languages. This is because the work of these surgeons involve dealing with chemicals, machines and they also requires one to have good communication skills so as to communicate efficiently with the patients. Besides the academic qualifications, one also needs to have some personal attributes so as to succeed in this career. Some of these attributes include being physically fit since the work entails standing for long hours, having good eye sights and being compassionate since they deal even with terminally ill patients. It is also paramount for one to be able to work even on odd hours sine the surgeons can be called to handle emergencies regardless of the time. People looking to hire cosmetic surgeons should consider various factors while choosing the right surgeon. One of the primary factors is the competency of the surgeon which can be authenticate by checking the success rate of the surgeon, if the previous patients were satisfied by the treatment they got from the particular surgeon and the number of complaints from previous patients. It is also paramount to check the experience since the more the experience, the higher the chances of the surgeon being able to operate effectively. One should also check whether the tools and facilities used by the surgeon are of the required standards. Therefore, cosmetic surgeons are essential people whose career is well rewarding but requires a lot of diligence. Pondering hair transplant surgery? Transplants are getting to be more famous as they are presently the main genuine approach to restore your common developing hair. 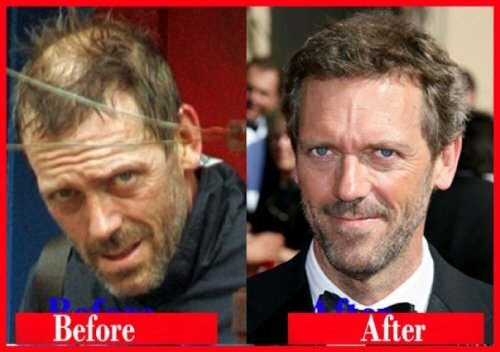 FUE hair transplant surgeons performed the surgery different in that the hair follicles that are not hereditary powerless to thinning up top (typically on the back and sides of the head) are taken and surgically replanted into a going bald zone (like the highest point of your head or front hairline). The transplanted hair is not hereditarily customized to be lost. So the greater part of this transplanted hair will keep on growwing for a lifetime, providing for you a more full head of hair and a more energetic look. This has some positive preferences over other balding medications. For instance, its an one time cost – you don’t need to upset gels, unique shampoos or creams for whatever is left of your life. You additionally don’t need to take professionally prescribed medications for male pattern baldness – which can have genuine symptoms. However what alternatives do you have in case you’re acknowledging surgery? This article will diagram the different sorts of hair transplant surgery and the profits of each. Obviously, an official choice is dependent upon you – and a great surgeon can educate you about which sort regarding surgery is best for your specific case. Regarding the matter of scrutinizing and acknowledging having hair reclamation surgery, its a subject that all balding sufferers ought to be considering important. Furthermore risks are, in case you’re a who are examining your alternatives, you do surely. With all the Internet brings to the table, the one thing for specific is “alternatives”. Such a large number of to look over, it makes the assignment appear to be practically like work. Furthermore it is. Anyway investing the energy and exertion, if for a short while of 30 days straight (which is nothing to those practically fixated on having a hair transplant) will pay off at last. Hey, you’re the particular case that will be existing with the outcomes… its worth the time. #1 FUT – Follicular Unit Transplant:This is the most well known kind of transplant. It’s likewise called FUSS (follicular unit strip surgery) or the strip system and has additionally been around for quite a while. With this strategy, a tight segment of hair is taken from the again of your scalp (where you aren’t inclined to diminishing). The unions from the strip are then divided and embedded into the going bald territories. The benefactor zone is quit for the day sutures or staples. These will be evacuated in a few days or ingested. #2 FUE – Follicular Unit Extraction:This is a fresher strategy that a few specialists (not all) are beginning to offer. It includes reaping every hair follicle independently from the back and sides of the head. At that point every hair follicle is transplanted into the thinning up top territory. There is no surgical tool strip cutting or any profound surgery with this strategy. The profits are that you get less scarring with this strategy in addition to the recuperation time could be shorter. This is a great technique for a few fellows who need to get “touch-ups” as they lose their hair about whether. #3 Scar Revision and/or Transplant Revision:This is for gentlemen that have had poor outcomes with a past transplant and need to settle it. Since more current routines are utilized today (littler, better hairs are gathered and transplanted), surgeons can touch up and fix a poor transplant or hairline that wasn’t carried out well years prior. Additionally, a few fellows may have an expansive scar from a FUT surgery. Anyhow now they need to wear their hair short – so they need to conceal the scar however much as could reasonably be expected. This technique generally includes transplanting hairs into the scar line to disguise the scar line (hair does not develop in the scar line – which is the motivation behind why it is obvious). What kind of surgery is available for helping me with my hair loss?Presently there are two alternatives accessible that meet my criteria of yielding “Tasteful” to “Incredible” as to final outcomes. Between the two, one has obviously separate itself from the other as far as greatest follicular units extricated and transplanted, general expenses and with 98% development ensure. That expressed, the “lesser technique” does have its place and in that appreciation yields fantastic effects for its best requisition. The best alternative for getting the most conceivable unions, importance anyplace in the 3,500 to 6,000 follicular units (or all the more) in one session is what is alluded to as “FUG”, significance Follicular Unit Grafting or “The Strip Method” as it is most regularly known by those on the discussions. Linda Maxwell There are quite a few plastic surgeons out there, but choosing the right one is important if you want to get the most out of your procedure. This means that it’s a good idea to compare surgeons for a little while before actually hiring one, but you could be wondering what to look out for. If you keep these five things in mind that all good plastic surgeons have in common, however, you will know how to weed out the good from the bad. All plastic surgeons should be certified through the board in their country; for example, the board that certifies plastic surgeons in the United States is known as the American Board of Plastic Surgery. Do your research to find out which board handles these certifications in your country, and make sure that your potential surgeon is properly certified. This ensures that he has the education and knowledge required in this special form of medicine. Plastic surgery might not be cheap, but some surgeons charge far more than others do. You might want to be a bit weary about surgeons who offer do provide their services for thousands of dollars cheaper than all of the competition, but you shouldn’t go with the cheapest surgeon, either. Instead, look for reasonable prices that are competitive with the pricing of other plastic surgeons in your area. Although some people might be difficult to please, a good plastic surgeon should have a good reputation. Ask for testimonials and before and after pictures of those who have had their surgeries done, and consider running a search engine search to see if you can find any more information about your potential surgeon. Although no plastic surgeon can please everyone, plastic surgeons who have a bad reputation should generally be avoided. Plastic surgery is a pretty big deal, so you deserve to have some one-on-one time with your plastic surgeon while you’re making your decision. During your consultation, your plastic surgeon should talk to you about what you want to gain from your surgery, what you can expect during and after your surgery and more. If your potential surgeon doesn’t seem to have time to talk to you about your procedure, you can probably assume that he won’t spend ample time with you during or after it, either. Someone who is fresh out of medical school might be pretty good at what he does, but he simply won’t have the same level of experience that someone who has been performing plastic surgery for years does. You probably don’t want to be anyone’s “guinea pig,” so look for a surgeon who has plenty of experience. Not only do you want to ensure that he has experience as a surgeon in general, but you will also want to make sure that he has performed your particular procedure of choice quite a few times before you go under the knife. By looking for these five qualities, you are sure to end up with a good plastic surgeon who will provide you with the care and procedure that you have been looking for.